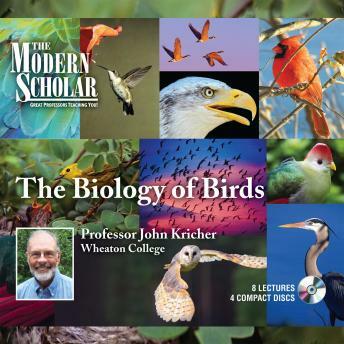 An esteemed professor of biology at Wheaton College, John Kricher leads a fascinating discussion of the approximately 10,000 species of birds that share our world. In these engaging lectures, Kricher expands on such topics as bird anatomy, the mechanics of flight, migration, reproduction, and song. The professor's lively presentation demonstrates how understanding the traits, life cycle, and evolution of birds is critical for an understanding of the origins and evolution of life on earth -- and why conservation plays a vital role in the environment's delicate balance.